There are a lot of video downloader chrome extensions when it comes to downloading videos from web pages using Google Chrome. In this article, we will look into the best video downloader Chrome extensions as well as third-party apps. Some sites like Youtube have terms and conditions which do not allow downloading videos from their sites. Only streaming videos is allowed from those sites. Videos streaming on Chrome can be downloaded using two types of apps: Video Downloader Chrome extensions or plugins and Windows Desktop Video downloader apps. We will discuss both of them in this article. When we say the best video downloader for Chrome, it is a relative term as it largely depends upon the specific user requirement and the extension capabilities. 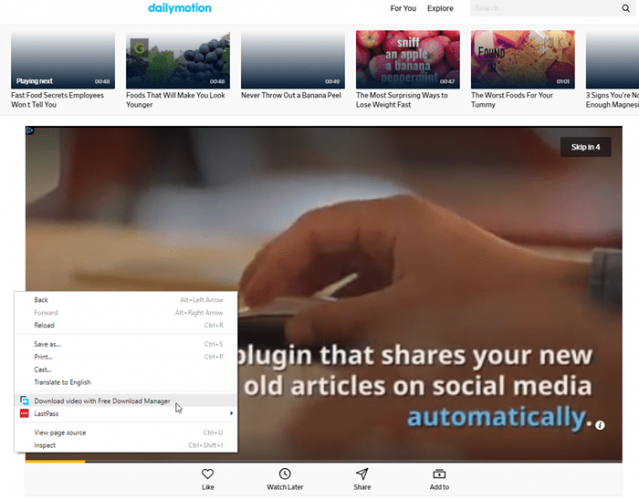 I have selected the following Chrome extensions as the best after testing them across multiple video sites including Dailymotion, Vimeo, Flickr, Veoh, Metacafe. I have not tested these extensions on Youtube as it is against Youtube terms to download videos from the site. Video Downloader Professional is one of the best Video downloader Chrome extensions. When you install the plugin, it will add an icon in the toolbar next to the address bar. The icon will turn green if it finds a downloadable video on the active page. When you click on the green icon, a drop-down list will appear listing all the videos available for download on the page. The extension shows the video type and size of video to be downloaded. One thing missing is that it does not show the video quality available for download. The downloading process is initiated on the default Chrome download manager. 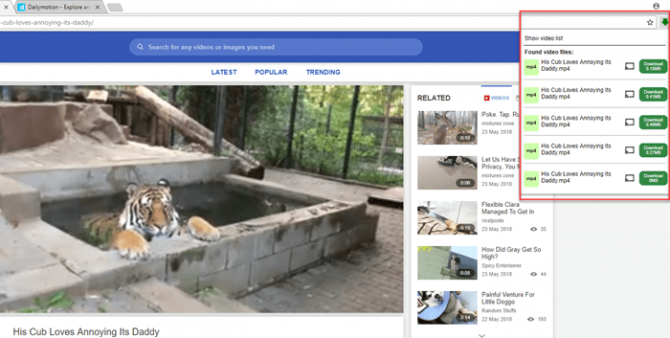 FBDown Videos Downloader is another Chrome extension which is worthy of mention. It works very similar to Video Downloader Professional. Don’t get confused by its name. It not only download videos from Facebook but also supports other websites like Vimeo, Dailymotion, Metacafe etc. 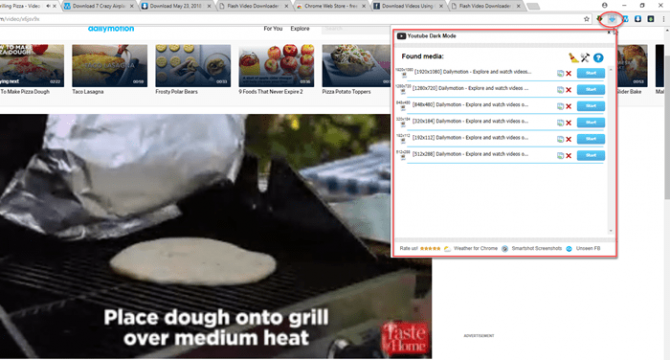 When you click on its icon in the Chrome toolbar, it will show the videos available for download. The good thing about this extension is that it also shows the screen size of video available for download. Flash Video Downloader is another useful extension to download videos from Chrome browser. By default Flash Video Downloader icon in the Chrome toolbar will remain gray but when it detects a downloadable video in the active page, it will automatically turn blue indicating that you can download the video. Clicking on the blue icon will bring the drop down window which shows found media files and lists their screen size. You can also configure which extensions to detect in Flash Video Downloader options. By default, it will automatically detect mp4, mpeg, flv, mov, avi, wmv, asf, swf and webm extensions. Internet Download Manager (IDM) is a popular download manager for all kinds of files. 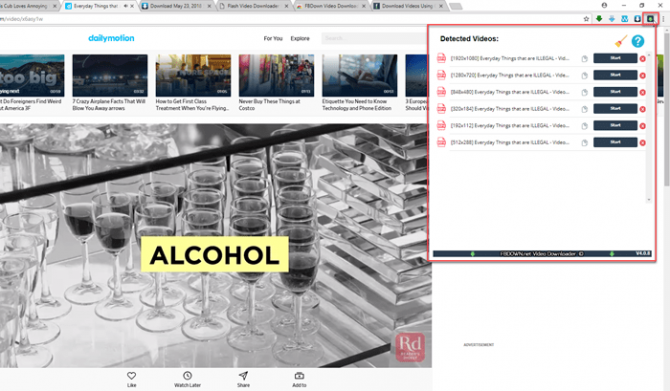 One advantage of IDM is that if it is integrated into any browser including Google Chrome and Firefox, it will automatically show a button at the top of each downloadable video. Just click the button and the video will start downloading using IDM. The only caveat with IDM is that it is not free. If you are looking for a general download manager which is free, look no farther than Free Download Manager. Free Download Manager can also download videos of your choice. Right-click on any blank area on the page where video is streaming and select Download video using Free Download Manager. It really depends upon your requirement for downloading videos. We have listed the best video downloader Chrome extensions and apps which are easy to use and convenient for downloading. My personal favorite is Free Download Manager because it can integrate with not just Google Chrome but other web browsers. What is your choice for downloading videos?